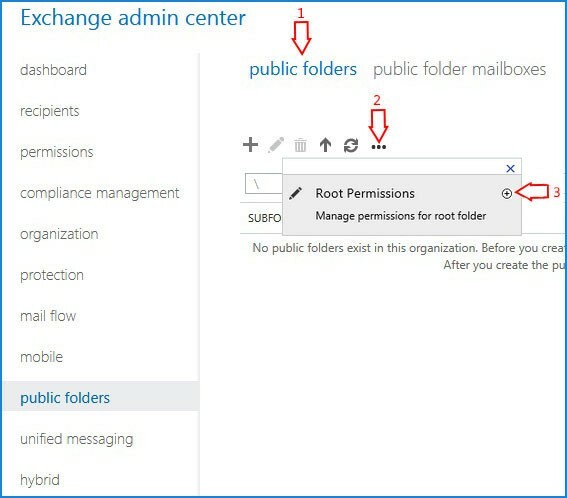 Select the 'public folder' from the list and click the 'public folder mailboxes' tab. 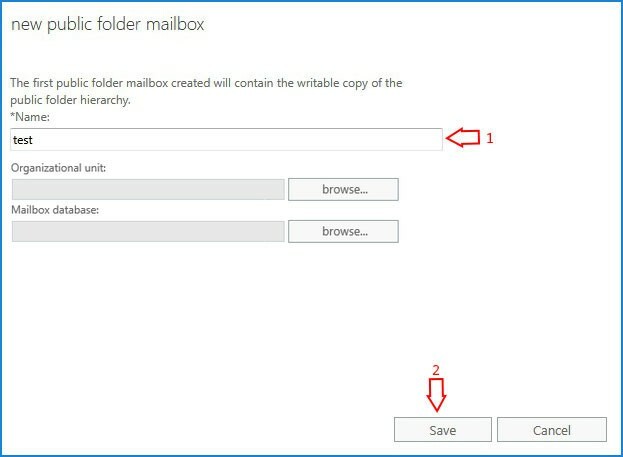 Click the '+' icon to add a new mailbox if there are no existing mailboxes. 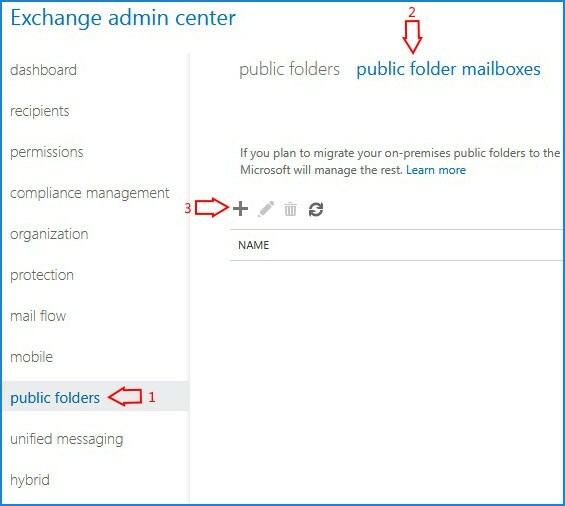 Enter the Public folder mailbox name and configure it according to your preferences and save. 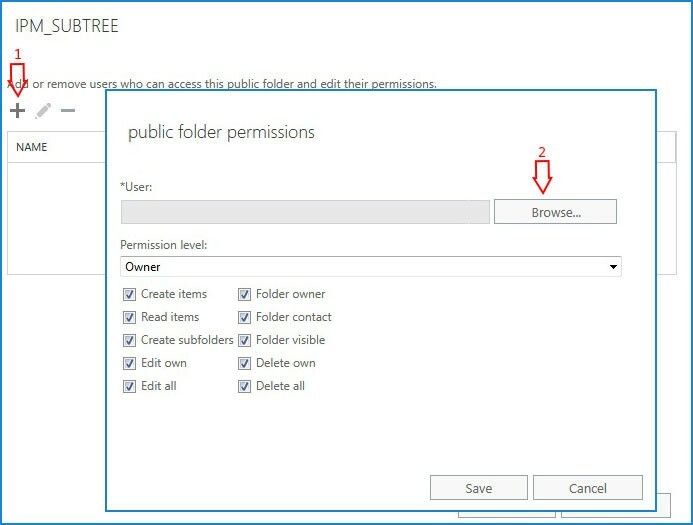 Next select the 'public folders' tab and click the last option with 3 dots '...' and click the plus(+) icon next to 'Root permissions'. From the Window that opened, click the '+' icon and click the 'Browse' button to find your administrator account. 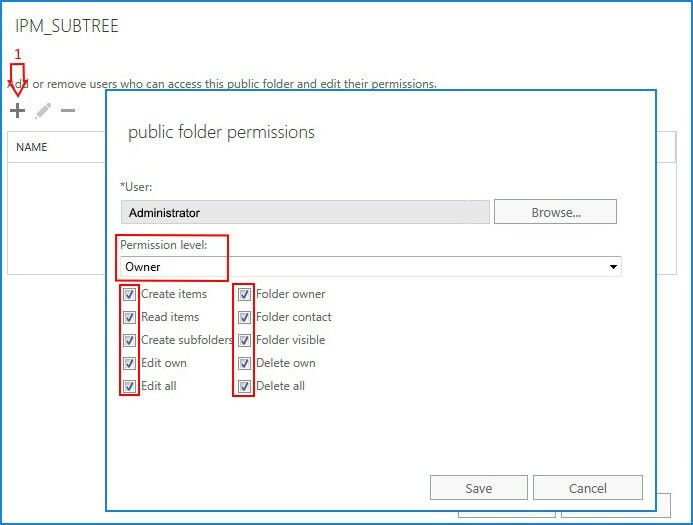 Choose the 'Owner' in permission level and every possible privileges to be granted (all checkboxes need to be selected) and click the 'Save' button. 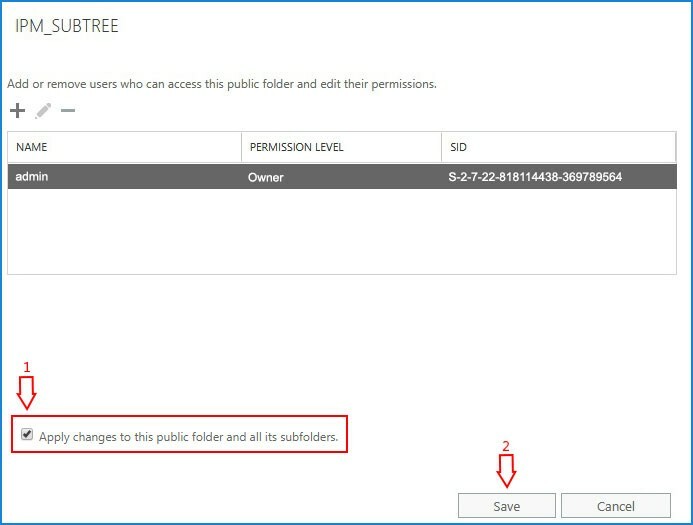 If the 'Apply changes to this public folder and all its subfolders' checkbox option is available select it and click the 'Save' button.